To assist us in monitoring the quality of our services, we would appreciate it if you would please take a few minutes to complete this questionnaire. 1. Did you have any trouble finding the clinic? 2. Were you attended to promptly, and courteously upon your arrival? 3. Were you taken to the exam room in a reasonable amount of time? 4. Was the test explained to you before it was started? 5. Were your questions answered satisfactorily? 6. Were you treated with courtesy and respect at all times? 7. Was your privacy respected during your visit? 8. Did you find the atmosphere of the clinic pleasant? 9. Would you return to the clinic again for testing? 10. 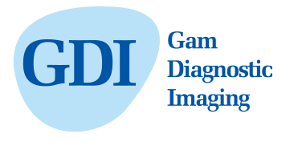 Have you used our website www.GAMDI.ca? 11. If yes, was it informative and helpful?